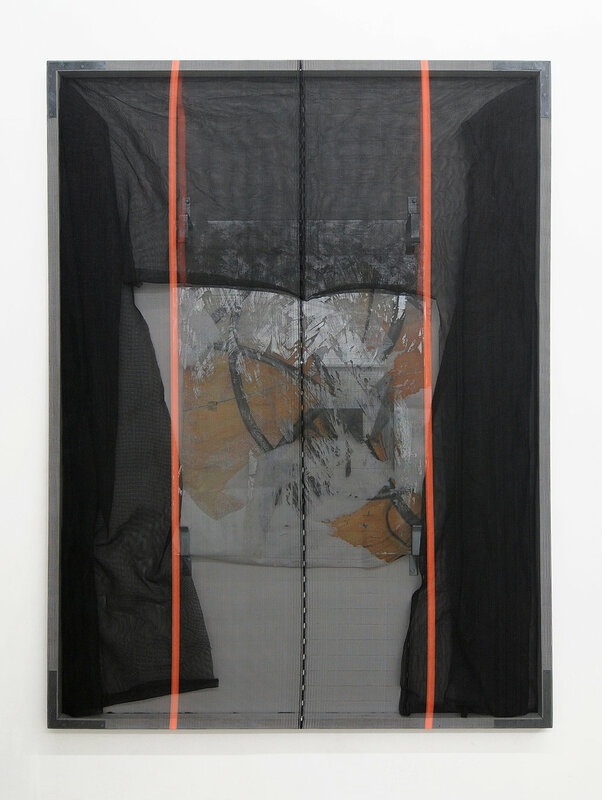 Snobeck’s imagery and materials are layered into one another: plastic, tar, burlap, denim, Depression Era glassware, measures for repairing movement in wristwatches, twenty-first century inkjet printing and cardboard shipping containers are soaked in a previous era’s recession and oil crises. 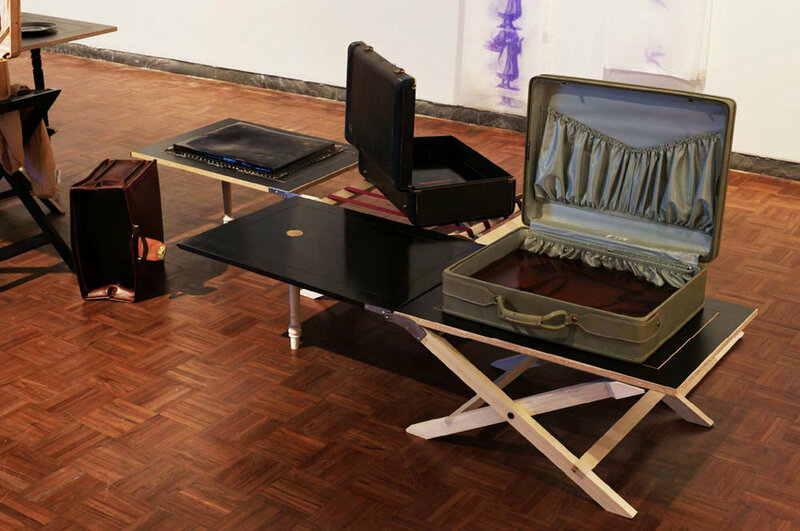 Her work constructs a framework through which to gauge the impacts and co-dependency of a range of political, economic and aesthetic concerns. 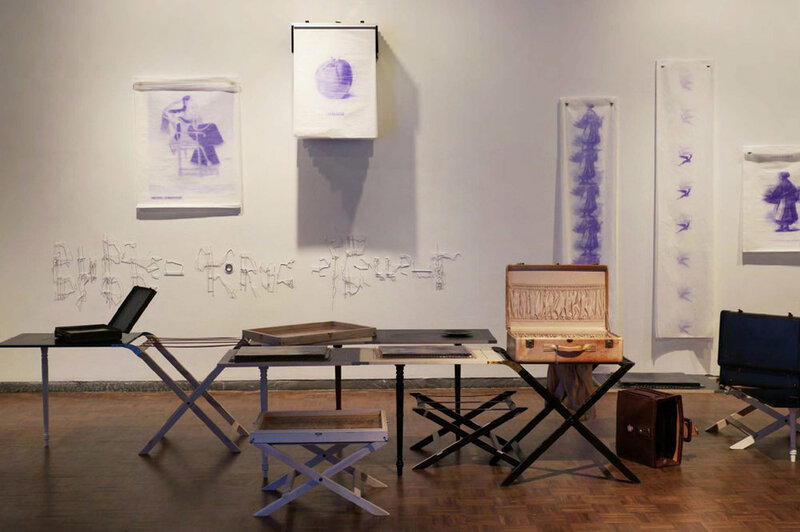 Combining antiquated found objects with those built in the studio, the vernacular with the refined, the natural with the artificial, Snobeck uses physical processes of turning one object into another with concrete and metaphoric results. 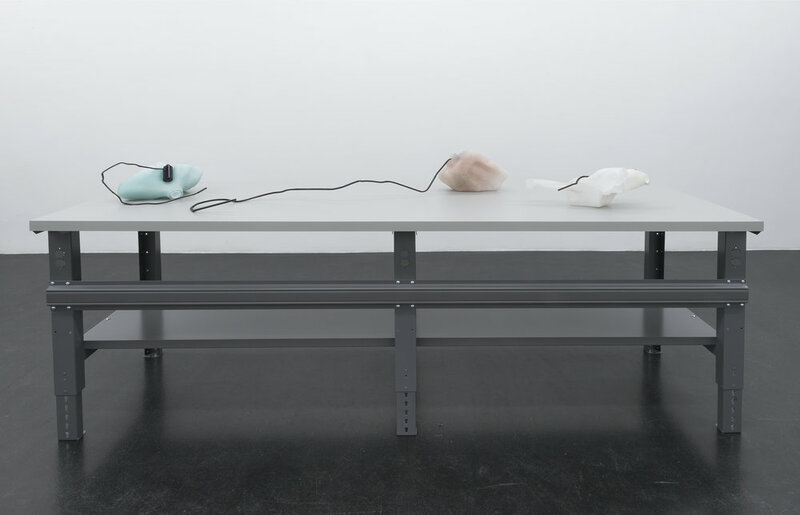 The work is part sculpture, part process, part undoing, part culture, and part detritus. It is never stabilized, neither physically nor categorically. Recalling the paradox of Theseus’ ship, Snobeck’s Depression glass sculptures ask whether a pitcher, which has been cut, then re-moulded and inverted, is still the same pitcher. 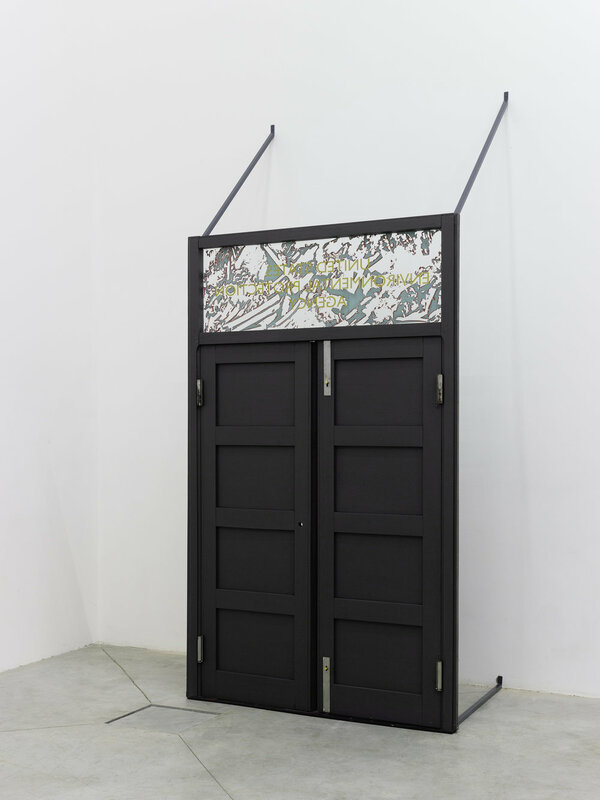 She alienates materials from their conventionally designated purpose and works in processes of translation – across surfaces, industries and time. 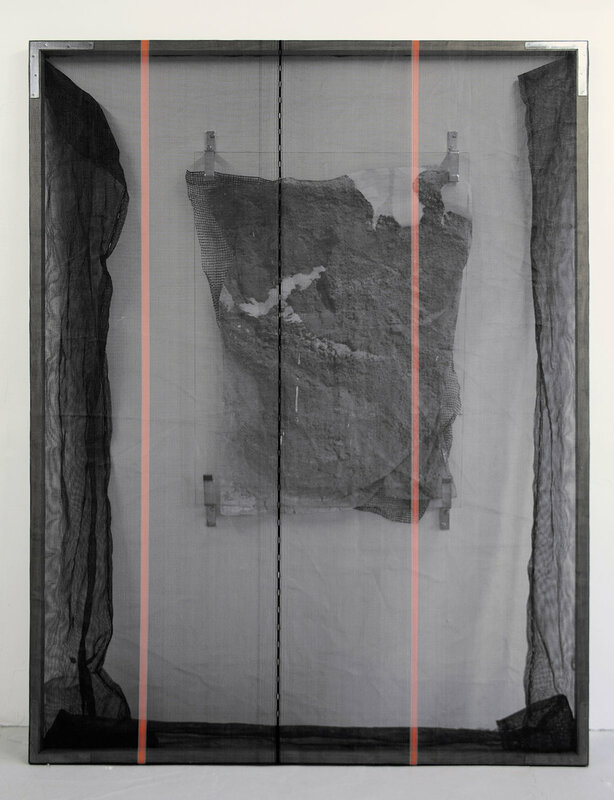 This task is manifested in the peeled prints on plastic whereby a residual image is physically peeled from one support onto another. The works are selected moments in a sequence of transfers, wherein information passes through and takes on the shape of a hosting armature. In the partially erased mirrors this process of simultaneous disintegration and accumulation is heightened. 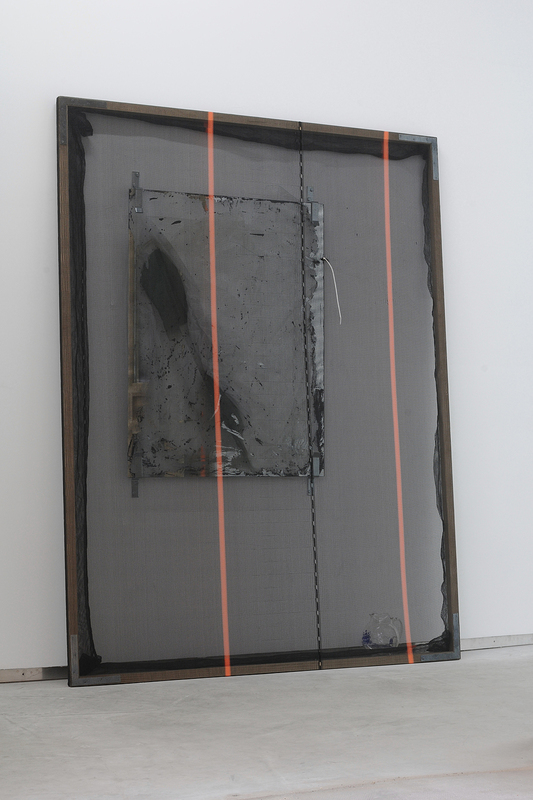 The layers of paint and metal on mirrors are deposed and become windows through which to see. Netting used to catch falling debris at construction sites is wrapped taut around a structure, forming a permeable membrane where a canvas might normally be. 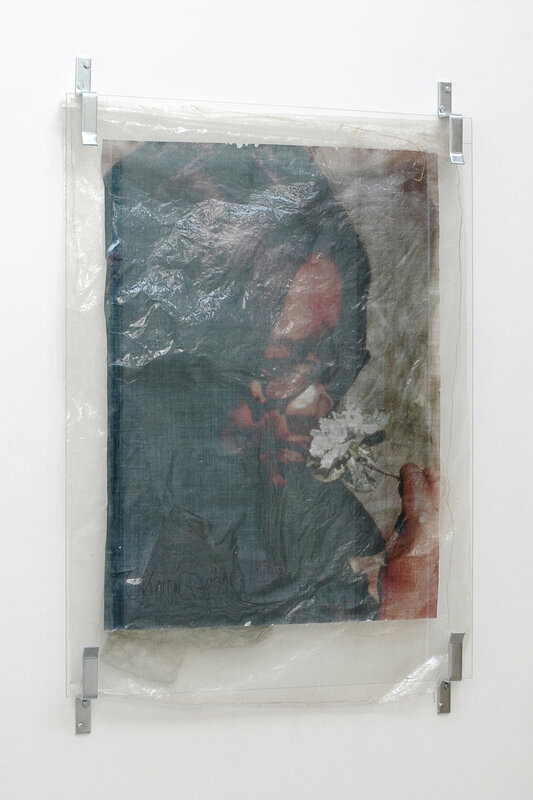 In the peeled prints on plastic, inks distributed by a printer are immigrated from an absorbent host (paper) to an unnatural terrain (plastic). The diaspora of their resolution is partially lost with each translation. 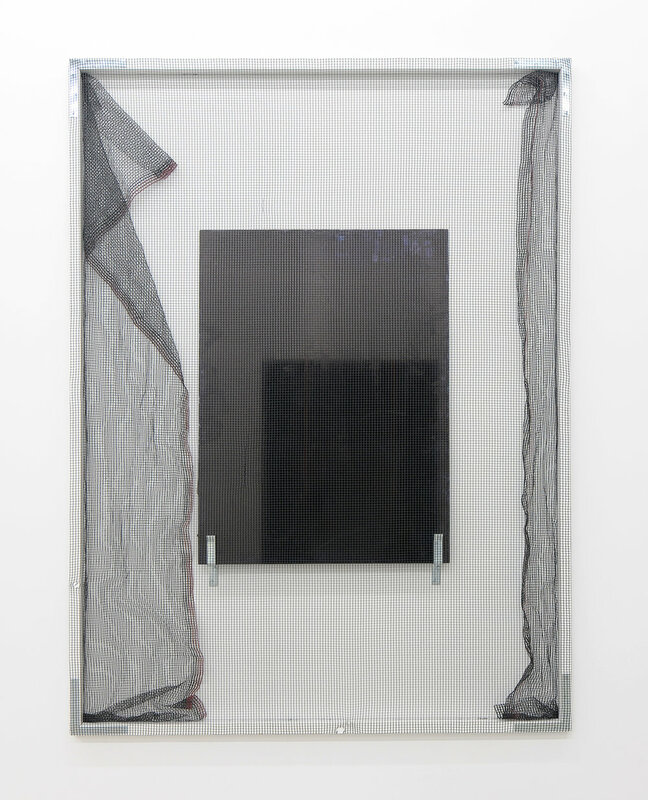 As a series of screens – the veil of the netting, the glass window of the mirror, the semi-transparent surface of the plastic – these structures function as lenses by which to apprehend the work and the world it contains, the world containing it.